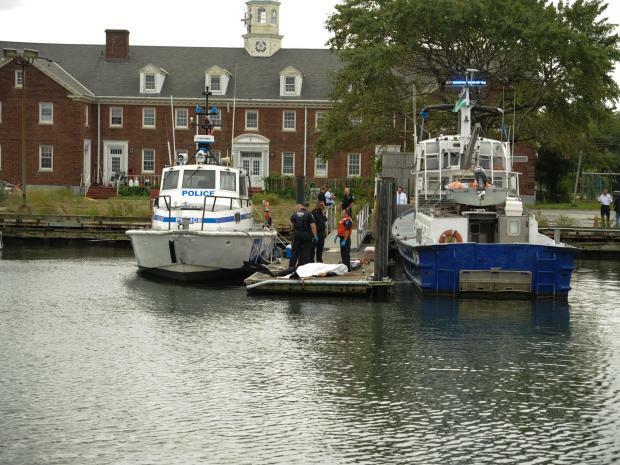 QUEENS — The body of a Staten Island spearfisherman who went missing in the Rockaways last week was found in Breezy Point Tuesday morning, an FDNY spokesman said. Yevgeniy Glebov, 29, went missing while fishing and snorkeling in Breezy Point Friday around 7 a.m., sparking a massive search by the Coast Guard, the FDNY said. The search was suspended Saturday night after the Coast Guard had scoured 2,000 square miles. Glebov was found about 10 a.m. Tuesday by the NYPD's Harbor Unit near 227-01 Rockaway Point Blvd., police and fire officials said. Glebov's wife is pregnant, his distraught mother-in-law told the New York Post. "So hard," his mother-in-law said, surrounded by upset relatives on Tuesday, the Post reported. Glebov, who often went by Eugene, was an active member of the region's spearfishing community and has competed in tournaments hosted by the Tristate Skindivers, according to the website. Fellow divers mourned Glebov's death Tuesday on Spearboard.com's online forums. "Very sad to hear the news today," wrote LIFishSlayer. "Got to meet Eugene this summer at Tri State species meet in RI. He was as passionate a diver as they come. I will miss reading his posts on here. My condolences to his family and friends."